The mission of Zion UMC is to Invite people to know Jesus Christ, to Grow those who respond into disciples, and to Serve all people in the name of Chirst. The mission of the United Methodist Church and the Western PA Conference is to make disciples of Jesus Christ for the transformation of the world. Church can be a very scary place for a person who comes to worship for the first time or for someone who hasn’t been to a church for a while. Please be assured you are welcome. The worship service is a place where those seeking to worship are warmly included. In addition to the worship services, there are many places within the life of the church that help people connect with their faith and create meaningful relationships at the same time. Feel free to check out the information on this site and know that you are invited on the faith journey of a lifetime. Pastor Rob was born in Erie, Pennsylvania and grew up on Lake Erie. After graduating from Girard High School, he attended the University of Mount Union and Methodist Theological School in Ohio where he served two churches during which time he went to seminary. 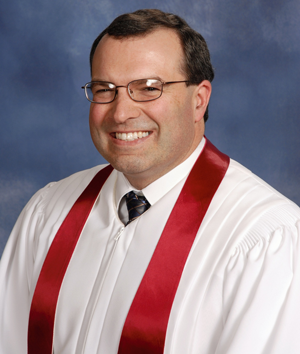 Since that time, Pastor Rob served the Bellview Charge (Cliff, Mount Pleasant, Ohl, and Stanton UMCs) and then Seneca UMC before serving Zion UMC. Pastor Rob is thrilled to have the opportunity to serve this church and the Sarver community. Some of his favorite aspects of the church include their heart for mission outreach, youth and children, and the spiritual vitality that is present throughout the congregation. Pastor Rob is very approachable and welcomes opportunities to speak with people about potential ideas for ministry as well as the joys and concerns that life sometimes brings to us all. Our worship services take place every Sunday at 8:00am and 10:45pm. You can listen to Pastor Rob's sermons here. The music program at Zion offers something for everyone. No matter your age or music reading ability, we would invite you and your family to join any of our groups and welcome you to all of our programs throughout the year. Contact Davlin Smith with any questions. Directed by Davlin Smith. Runs September through early June. Open to anyone in 9th grade and older. Directed by Davlin Smith. Runs September through early June. The Brotherhood performs for both church and community events. Directed by Davlin Smith. Runs September through early June. Directed by Donna Scholl. Runs September through early June. Directed by Davlin Smith and Sara Fritz. Runs September through early June. We are fully handicapped accessible. We have assisted listening devices for the hearing impaired. 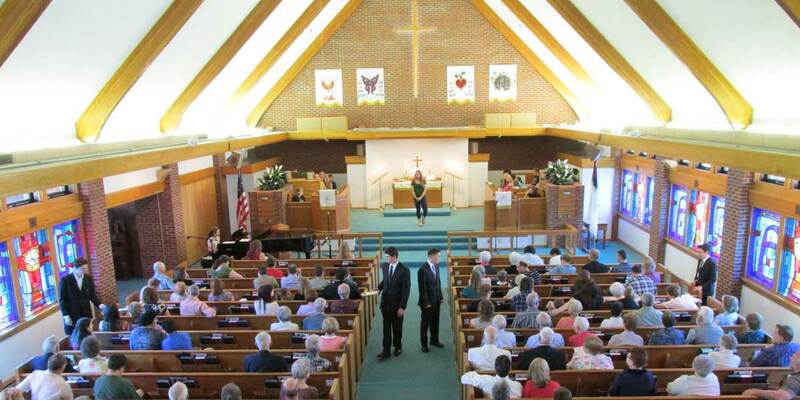 We offer audio tapes or CDs of the worship service. We love having children worship with us. If care is needed for your child, we have nursery options. For those ages 3-10, we have "Munchkin Methodist" Quiet Packs that can be found in the narthex and are labeled with appropriate age levels. Following the Tot Spot, there is an optional children's worship for grades 1-4 while parents enjoy the regular worship service. Safe Sanctuaries is an overt expression in making congregations safe places where children, youth and elders may experience the abiding love of God and fellowship within the community of faith. As a Christian community of faith and a United Methodist congregation, we pledge to conduct the ministry of the gospel in ways that assure the safety and spiritual growth of all of our children, youth, and vulnerable adults, as well as all of the workers with the children, youth, and vulnerable adults. We will follow responsible safety measures in the selection and recruitment of workers. View Zion's doctrine here, or for more information, visit the UMC's General Board of Discipleship Safe Sanctuaries page.